When you’re training outdoors for longer than planned or training later in day, you want to support your nutrition needs with tasty, natural products. 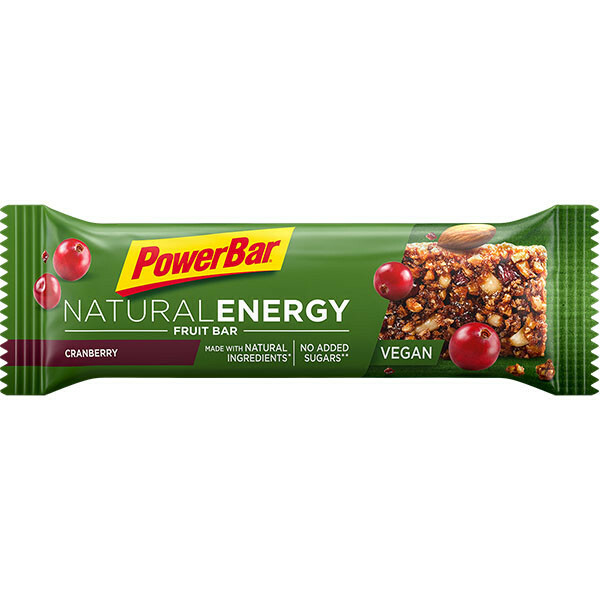 PowerBar has designed a fruity sports bar with few natural, vegan ingredients such as apples, almonds and cranberries that makes a soft, juicy bar that is easy to chew and with its high share of fruits gives a natural, fruity taste. 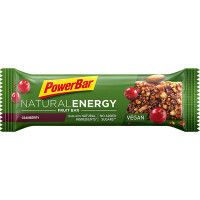 Natural Energy – ideal on the go! May contain: gluten, milk, peanuts, hazelnuts. 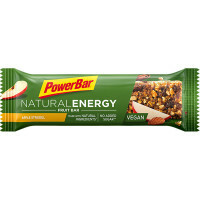 Consume 1 bar within 60 minutes before sport. During sport we recommend to consume up to 90g carbohydrates per hour depending on the intensity and duration. 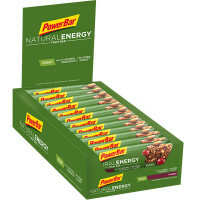 1 PowerBar NATURAL ENERGY FRUIT BAR delivers approximately 21g carbohydrates. Max. 4 bars per day.